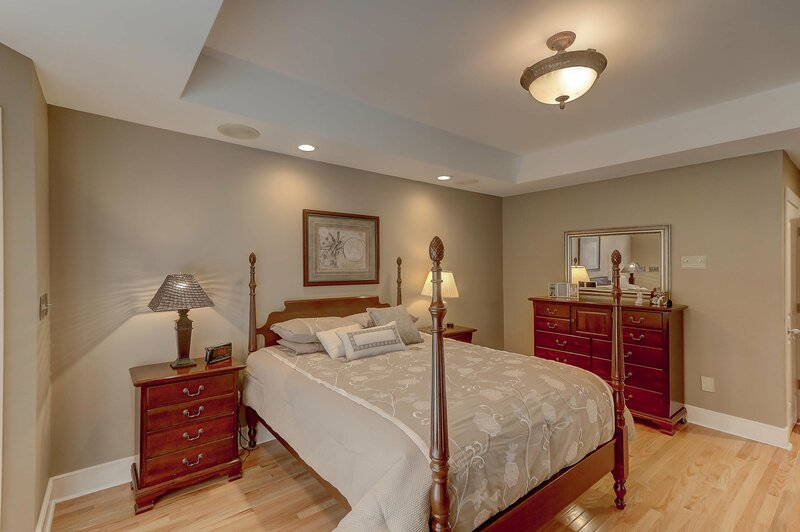 A true gem nestled in the heart of Mt. 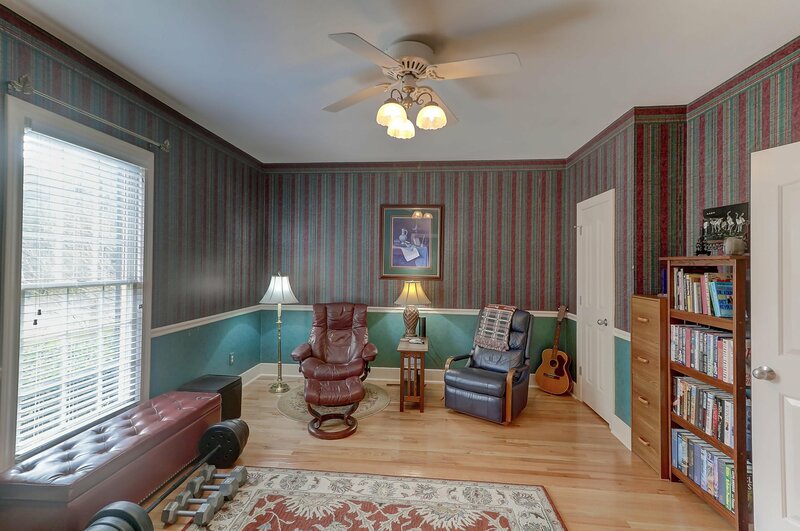 Pleasant! 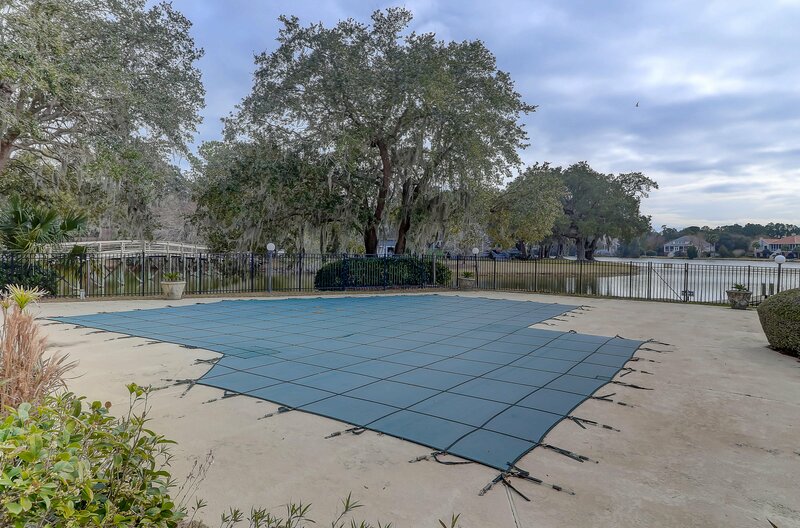 This combination of acreage and park like setting cannot be matched in this area. 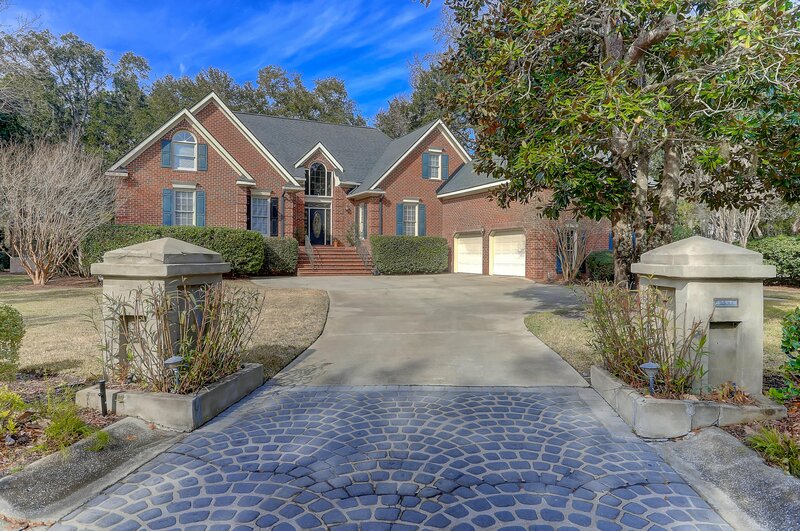 As you drive into the curved drive which sweeps to your oasis, you will enjoy the unique estate setting of this exceptional one-of- a-kind executive home. 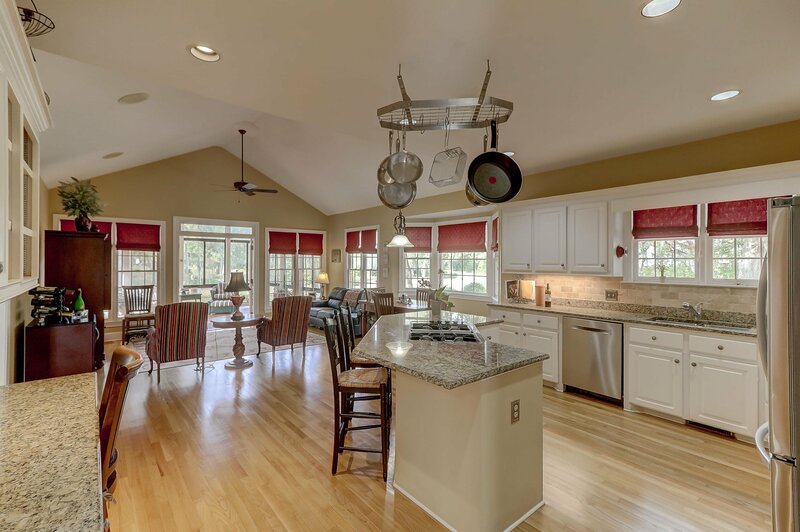 Graciously situated amid lush landscaping and gorgeous trees, this distinctive custom home was planned for gracious living. 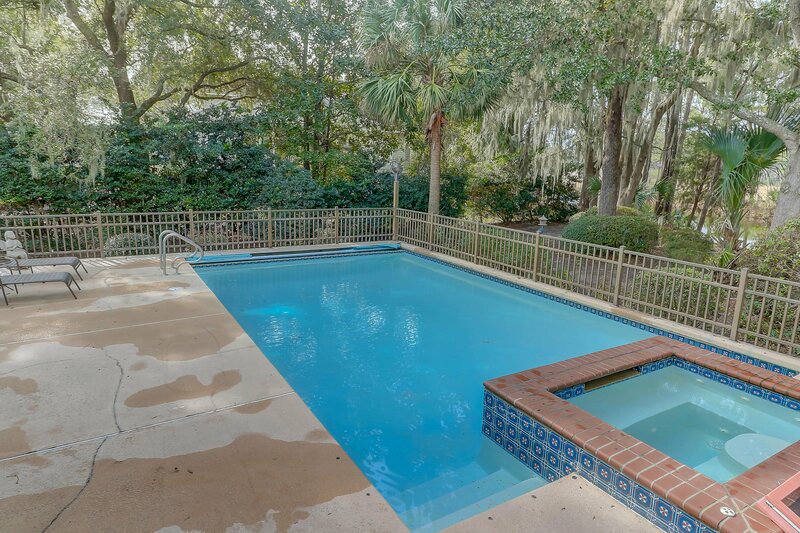 With its privacy and tranquility, this property offers the opportunity for resort luxury in your own back yard with the beautiful swimming pool surrounded by elegant outdoor space for entertaining and taking advantage of the best of the Low country. 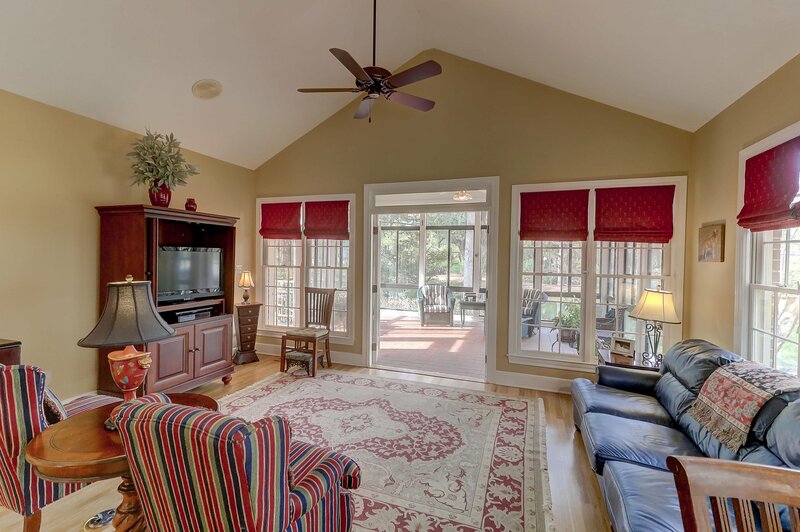 The beautiful shrubs, majestic oaks and manicured grounds are a fitting introduction to a warm and welcoming interior. 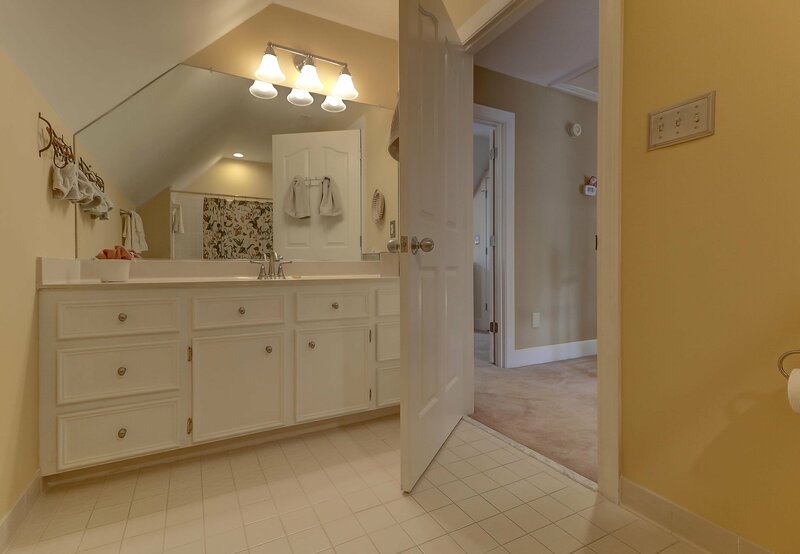 First impressions are important! 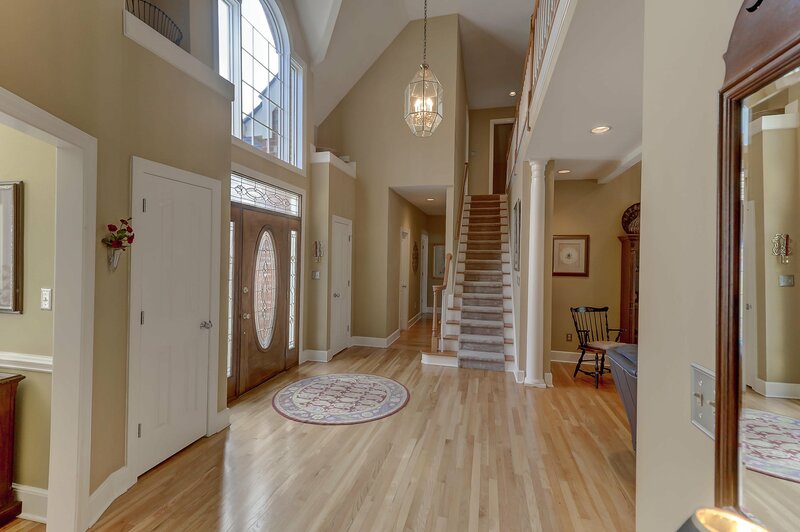 Enter through the front door into the welcoming foyer which features the front stairs and opens into a bright open floor plan which flows seamlessly into the dining room and living room. 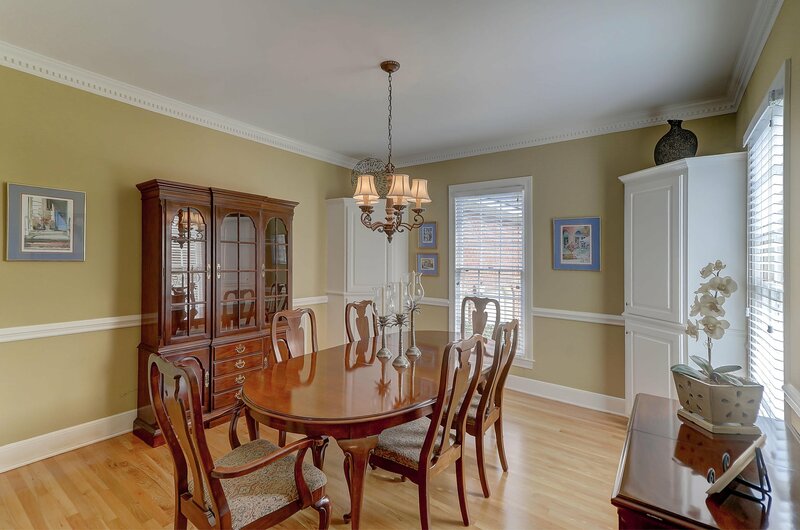 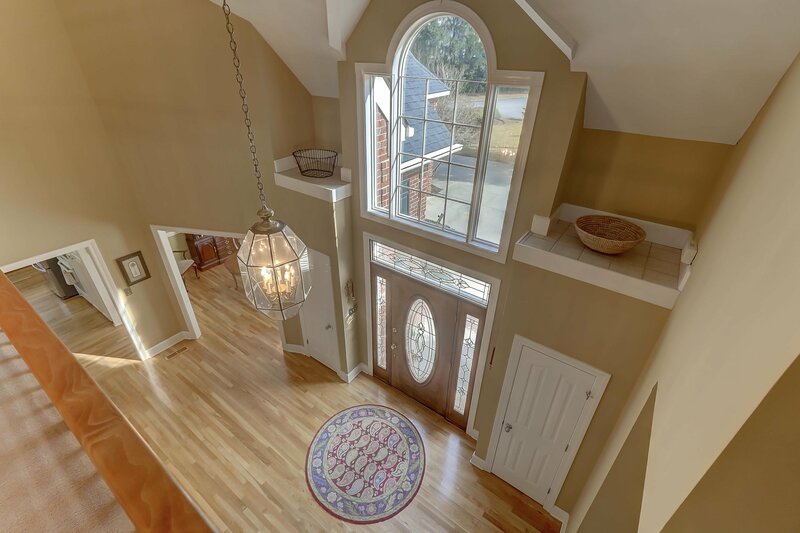 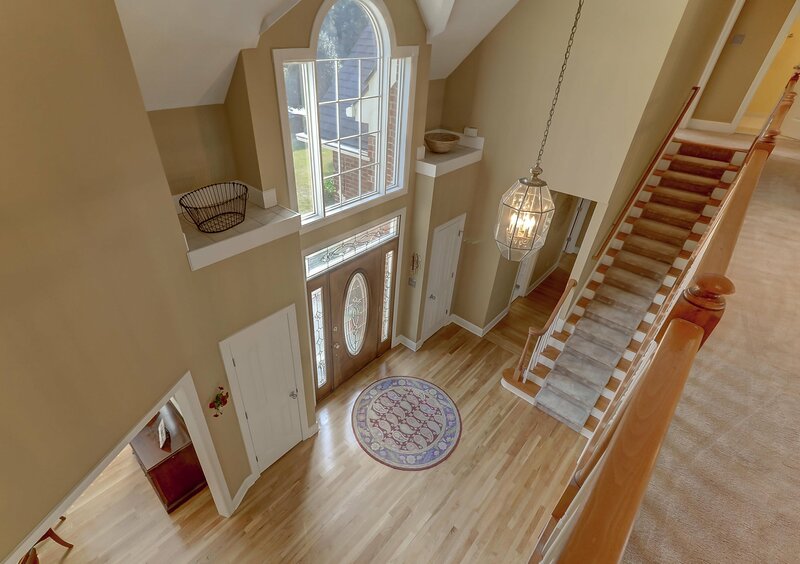 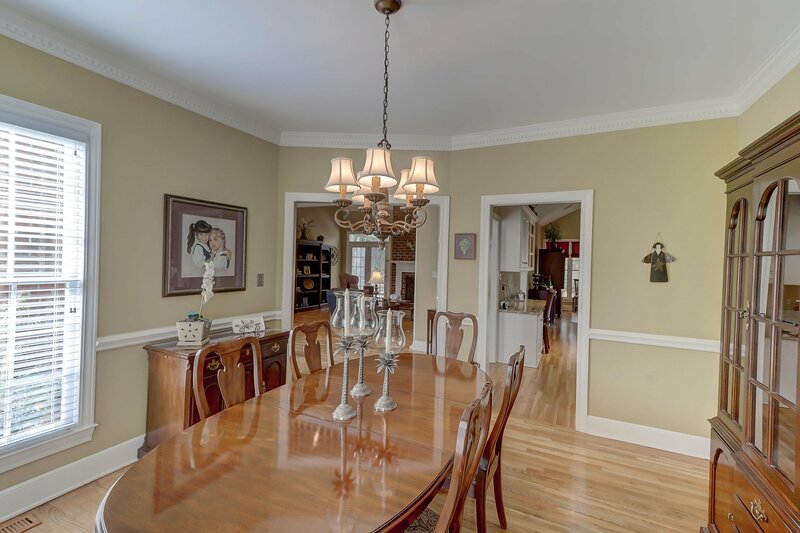 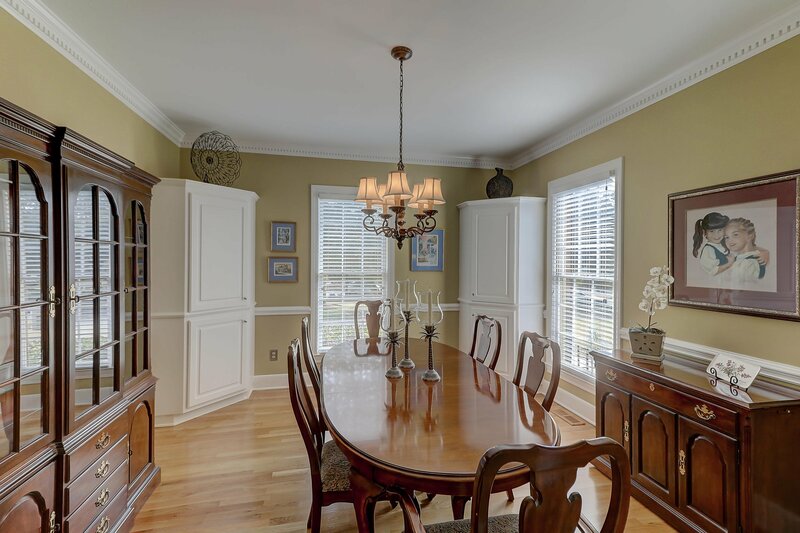 Attention to detail is evident in the crown molding, fresh paint, soaring ceiling, and hardwood floors which span the downstairs of this lovely floor plan. 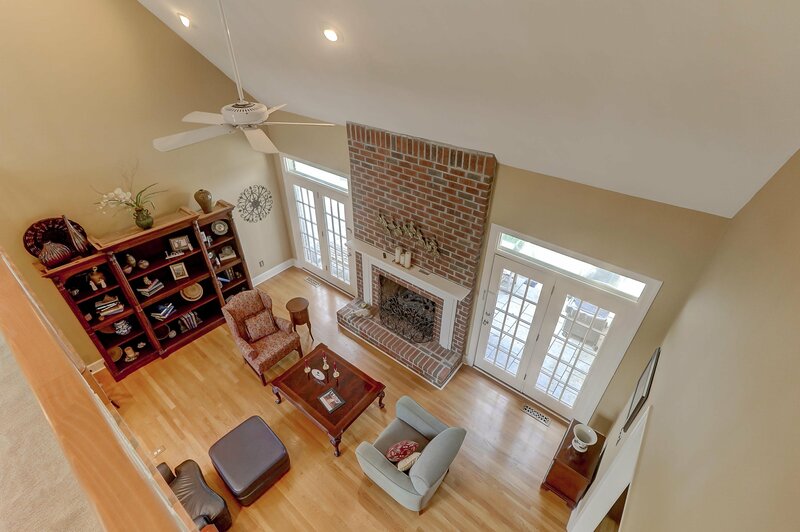 Enjoy relaxing in front of the fire in the vaulted living room or continue through the two French doors to the tiled outside patio which overlooks the inviting in-ground pool and hot tub. 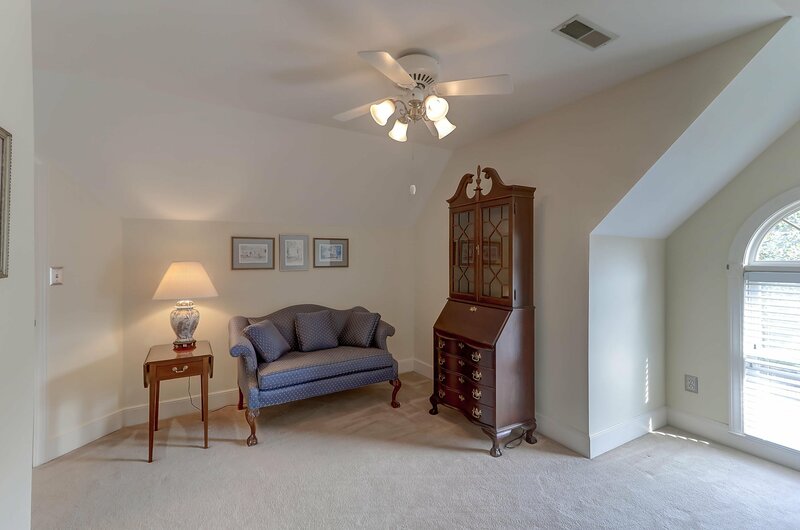 Continue to the spacious kitchen which has been updated with a gas top stove, new dishwasher, refrigerator, and gleaming granite countertops. 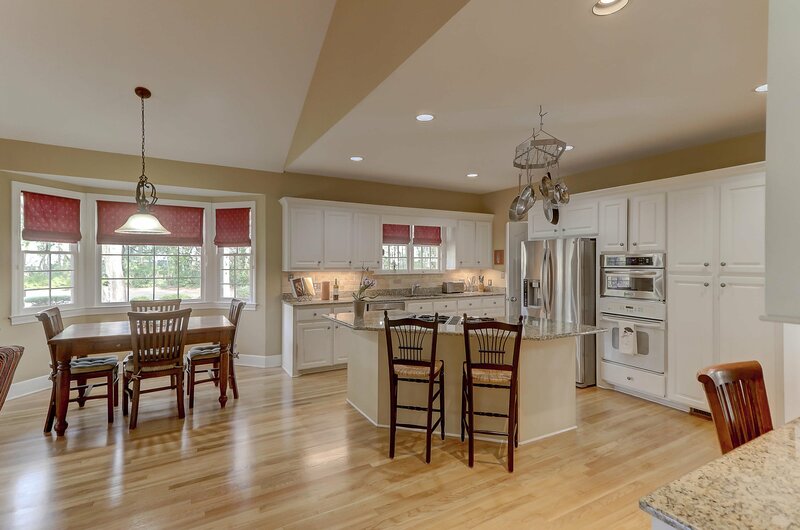 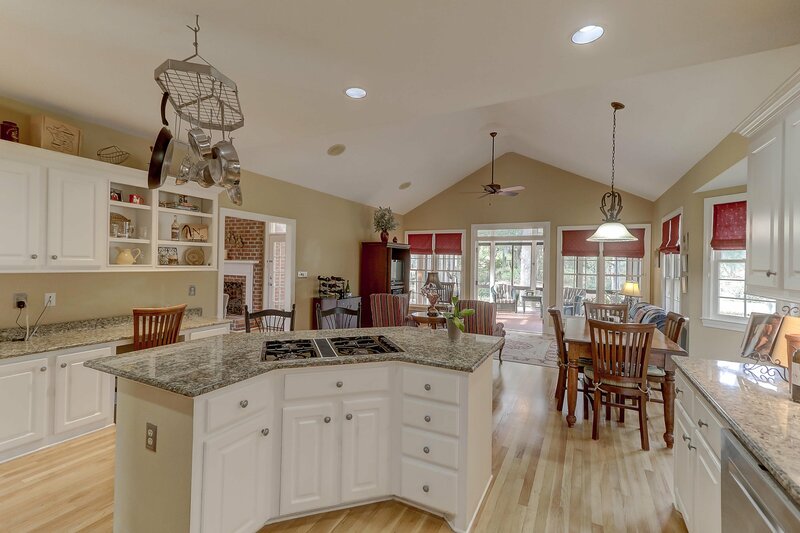 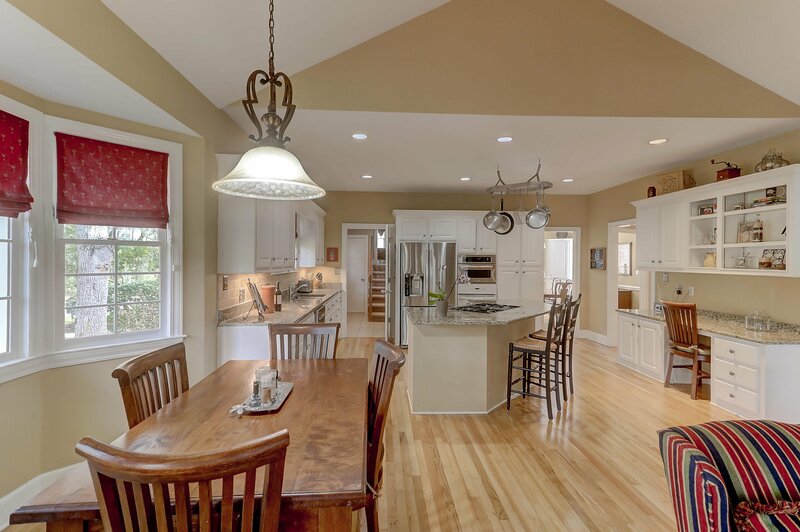 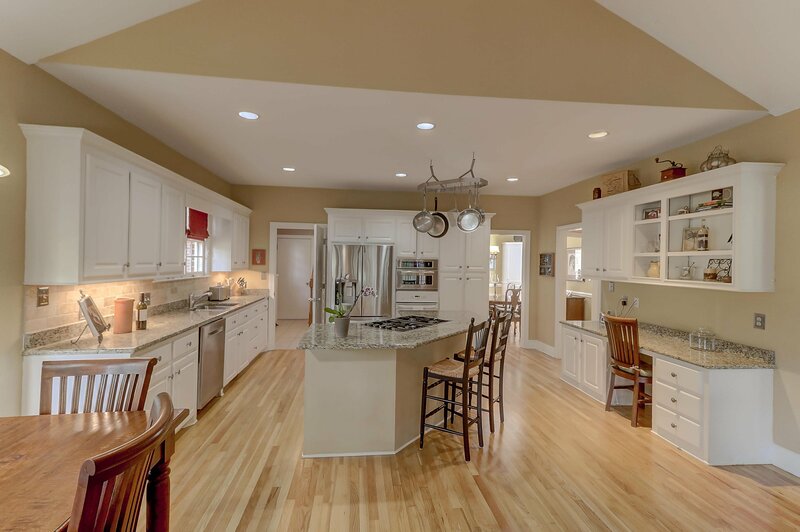 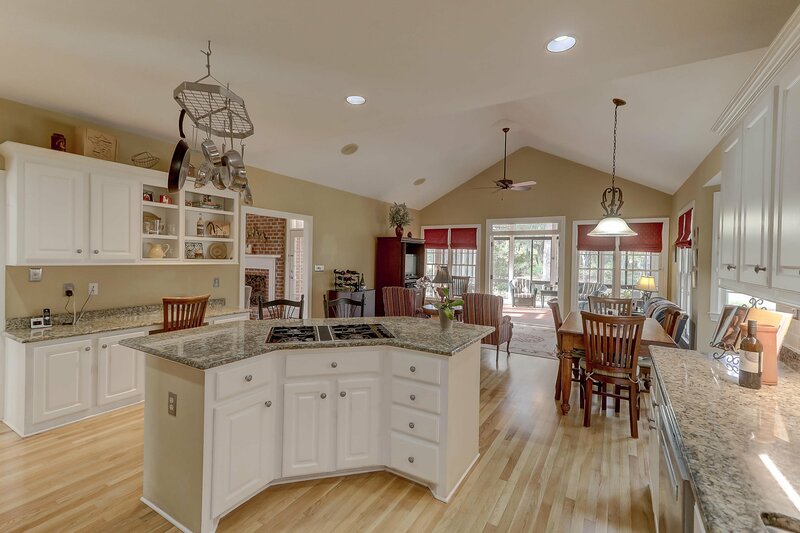 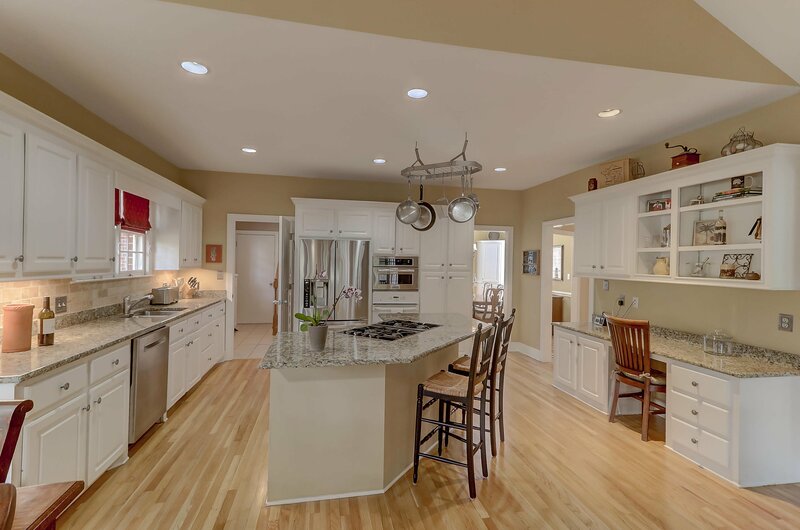 The large kitchen island offers bar stool seating for those casual dinners or simply for entertaining friends. 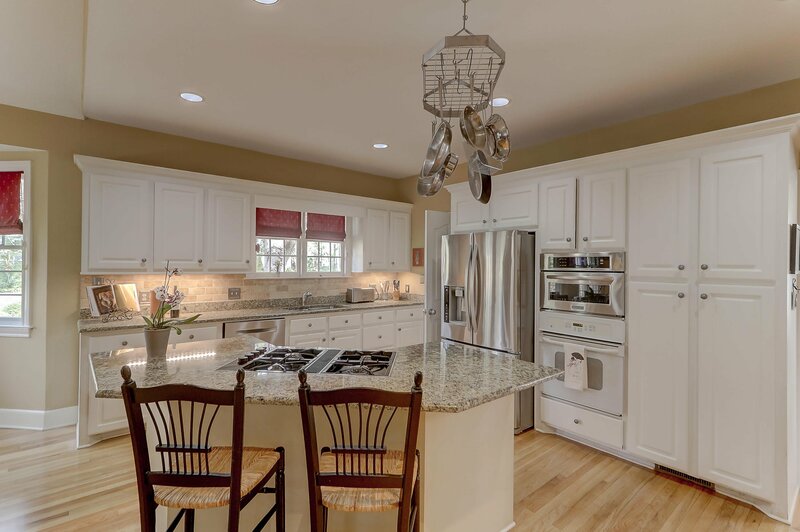 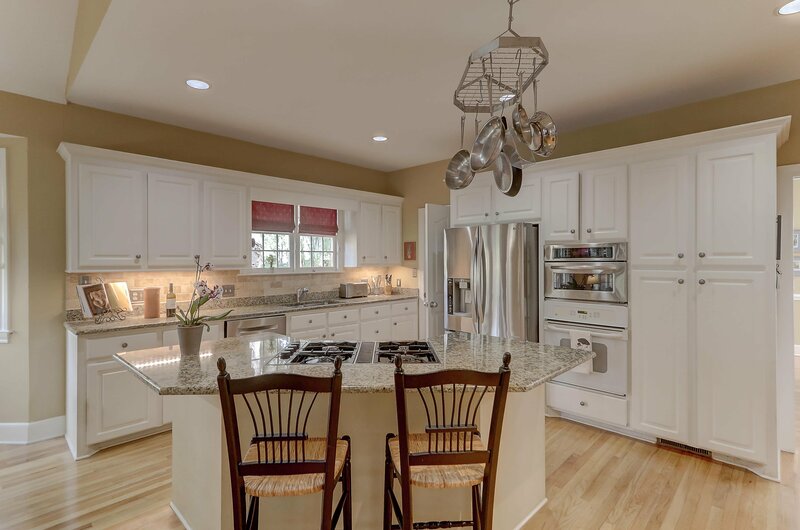 Lots of cabinet space make this space a cook's delight for preparing meals for the family or fancy h'ors d'oeuvres for company. 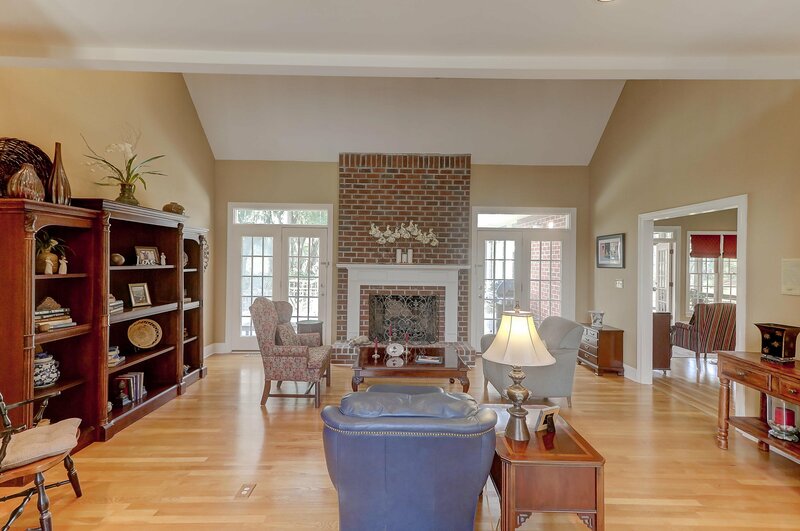 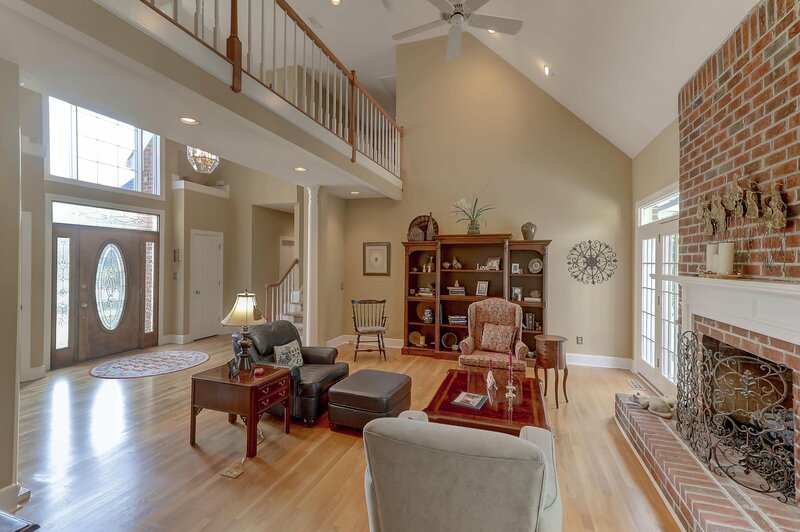 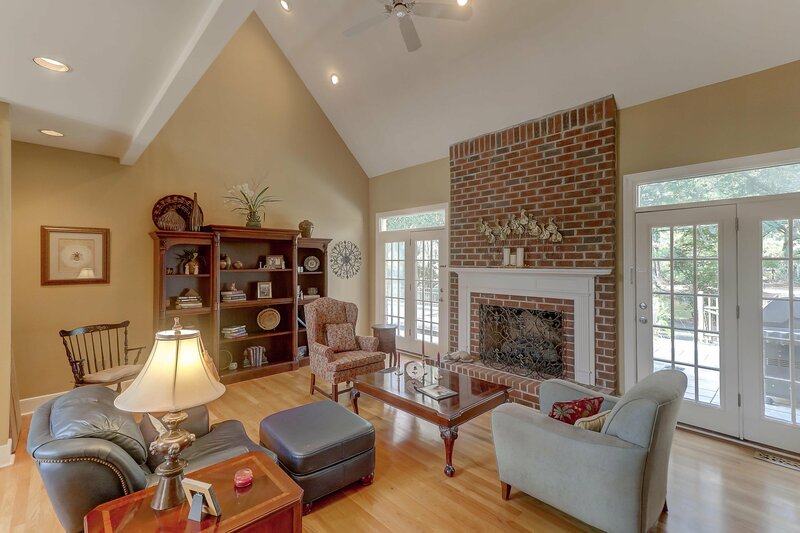 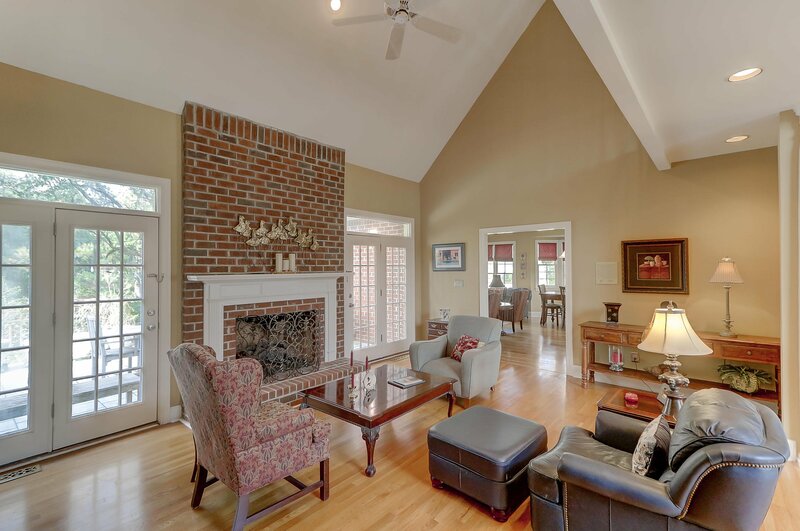 Open to the great room, this is a perfect space for entertaining guests, cozying up with a book, enjoying a conversation or simply watching your favorite TV show. 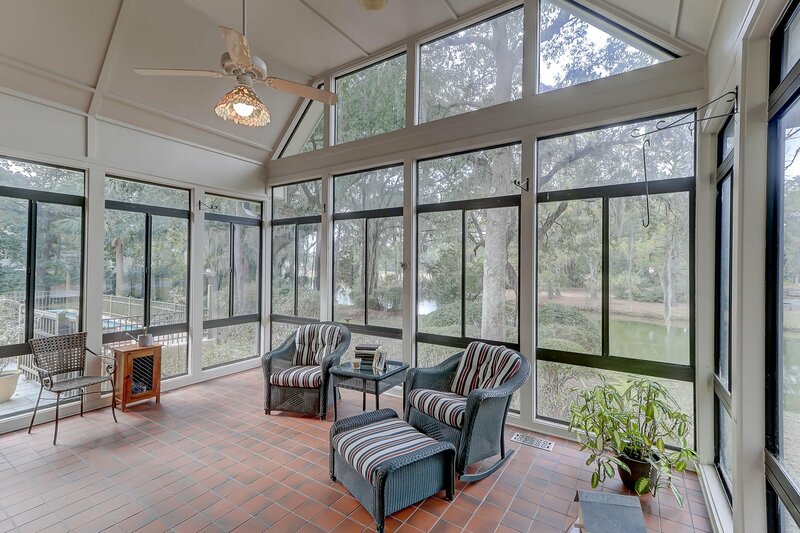 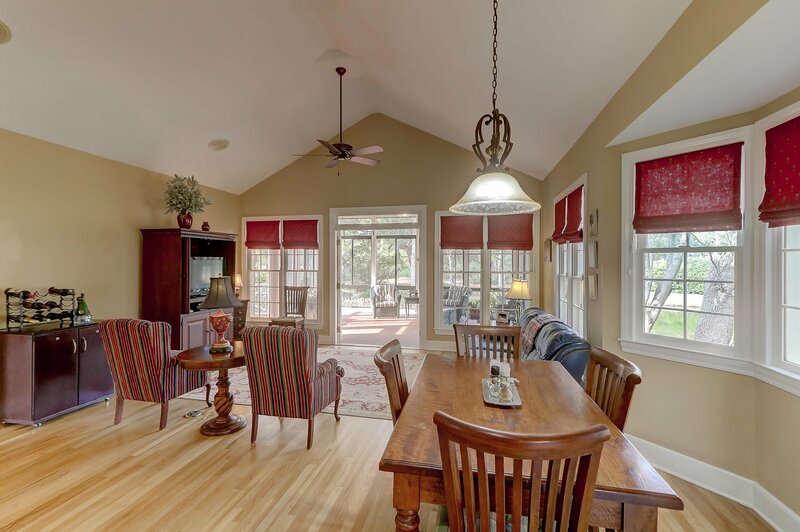 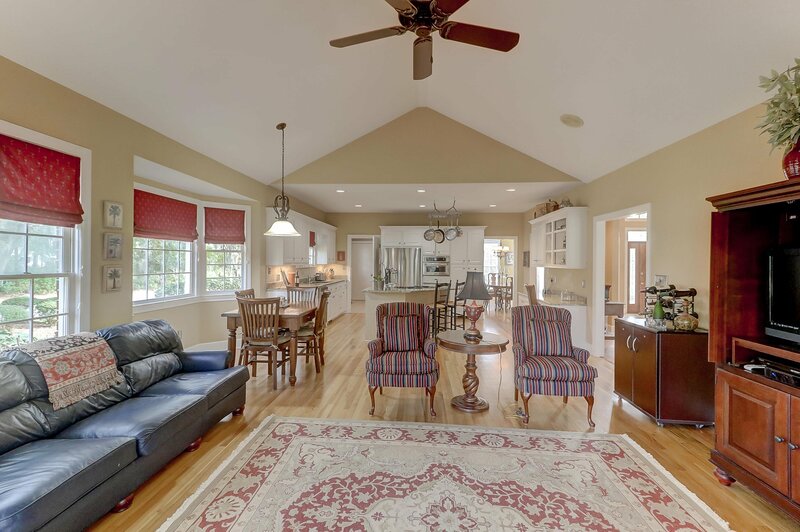 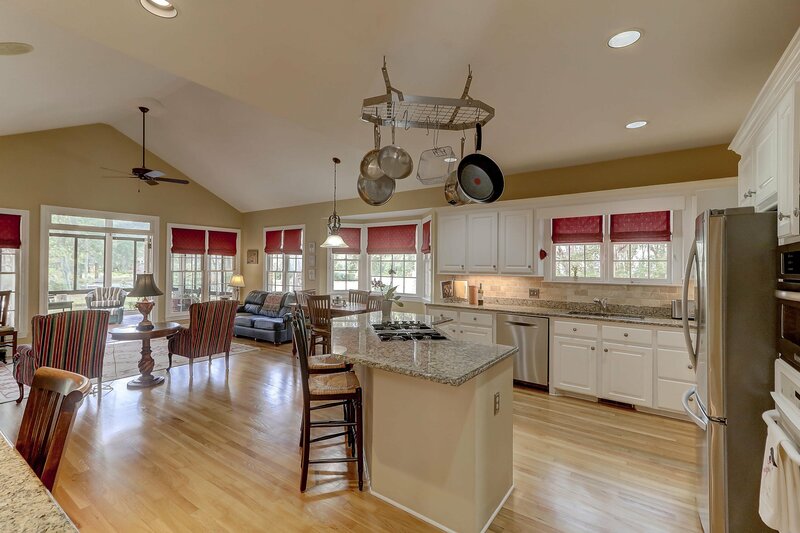 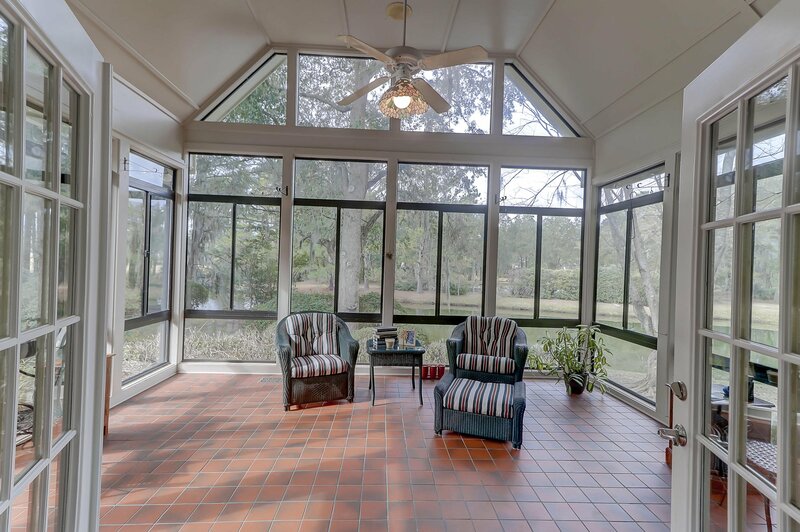 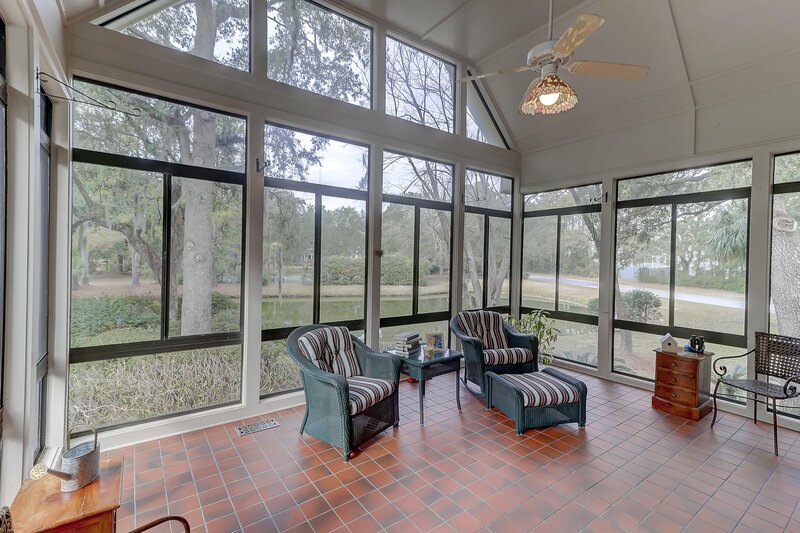 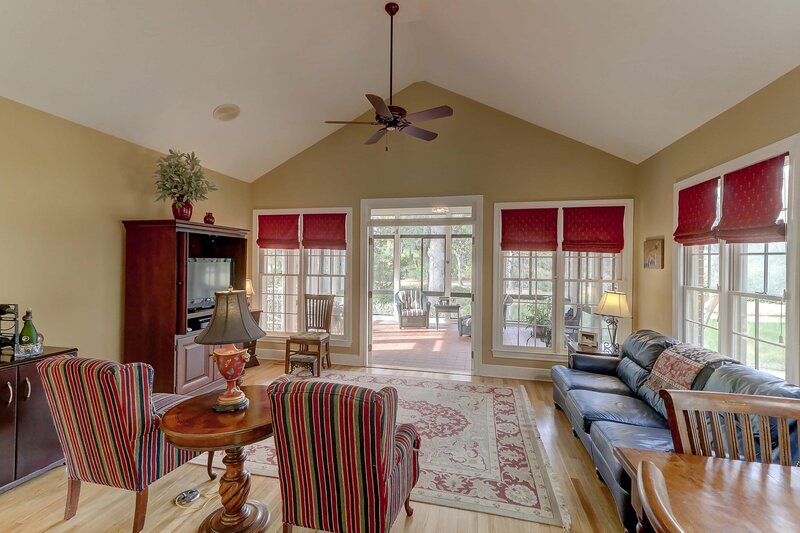 Natural light abounds throughout this space from the windows in the great room and the spacious heated and cooled private sun room which is conveniently located off the kitchen and great room area. 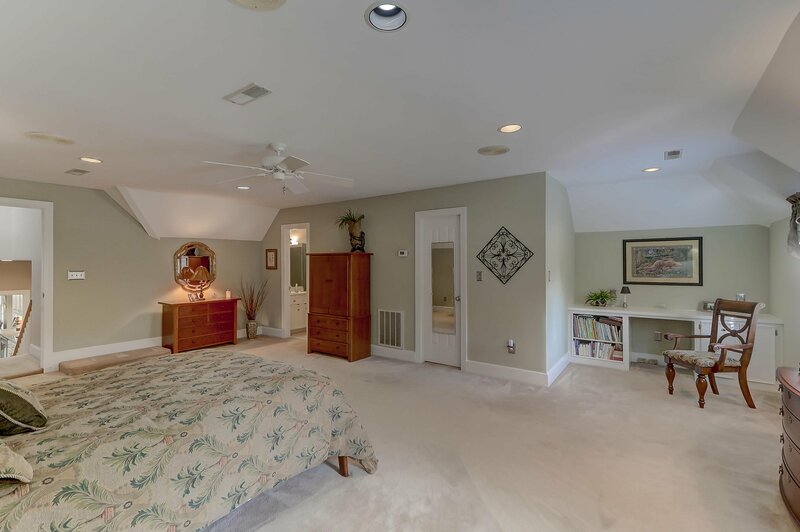 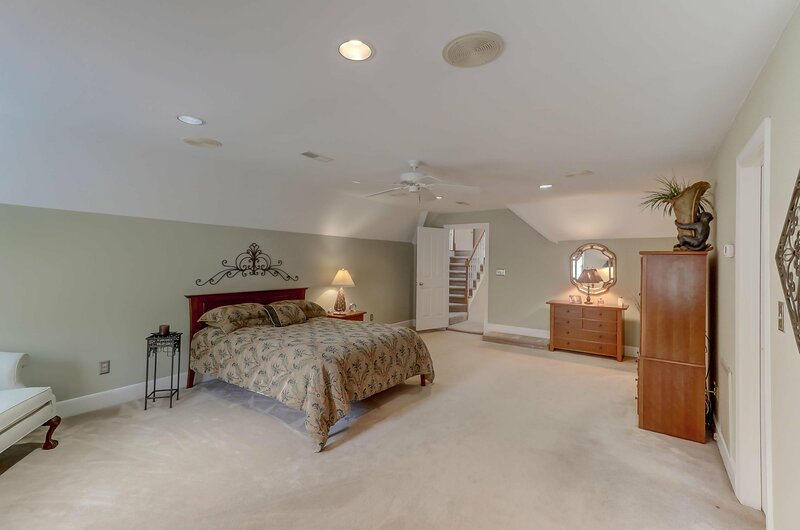 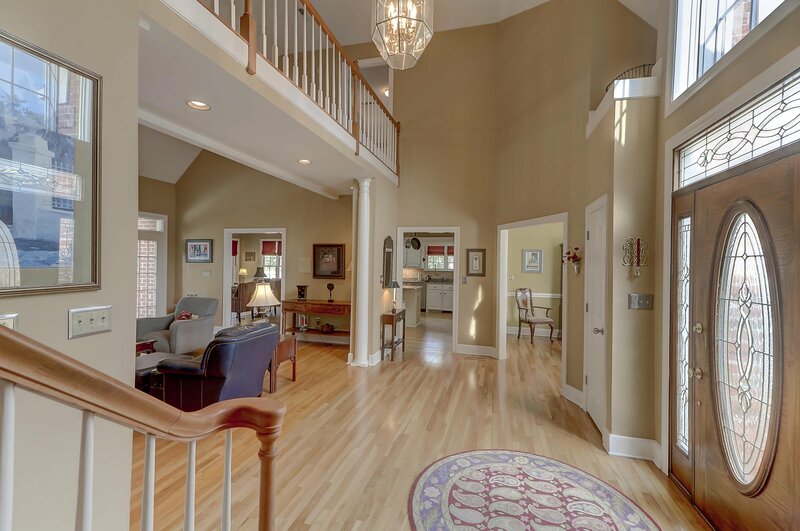 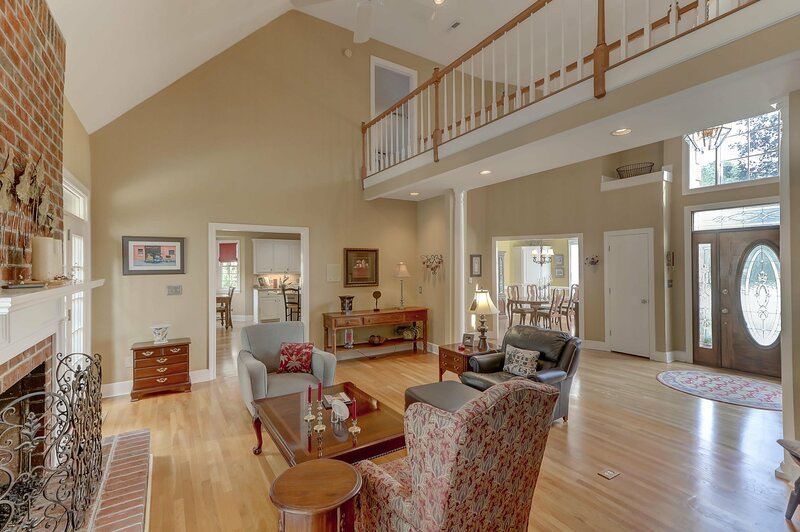 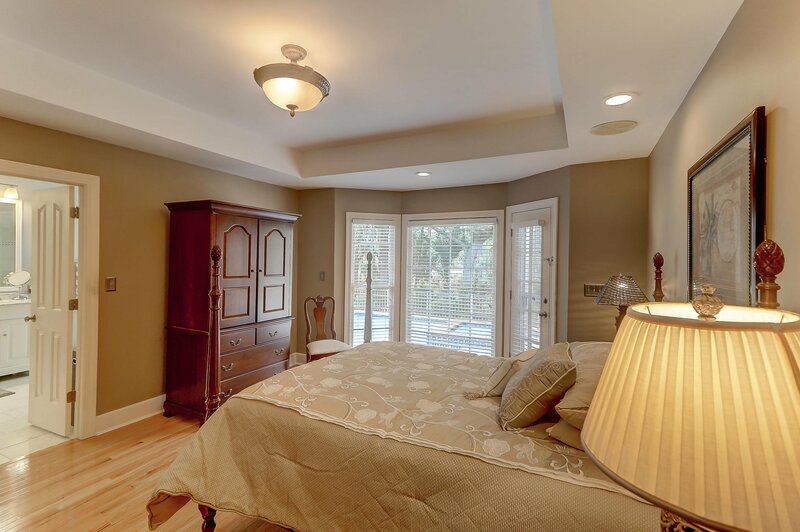 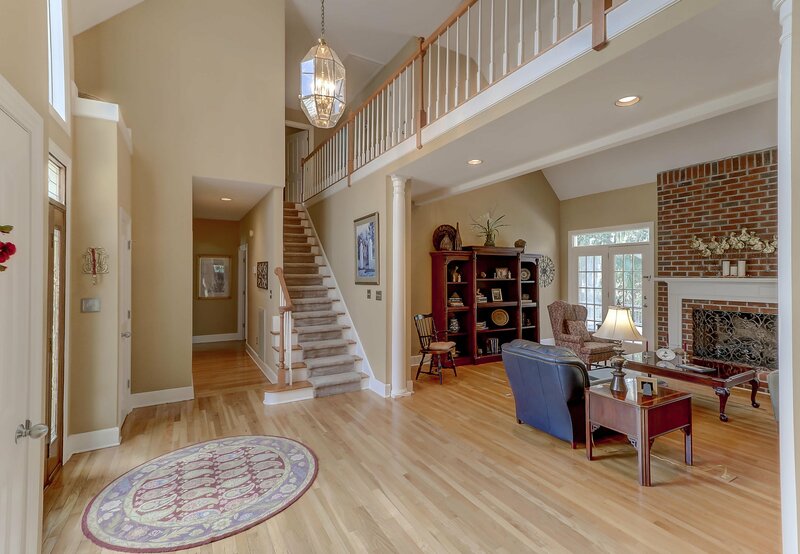 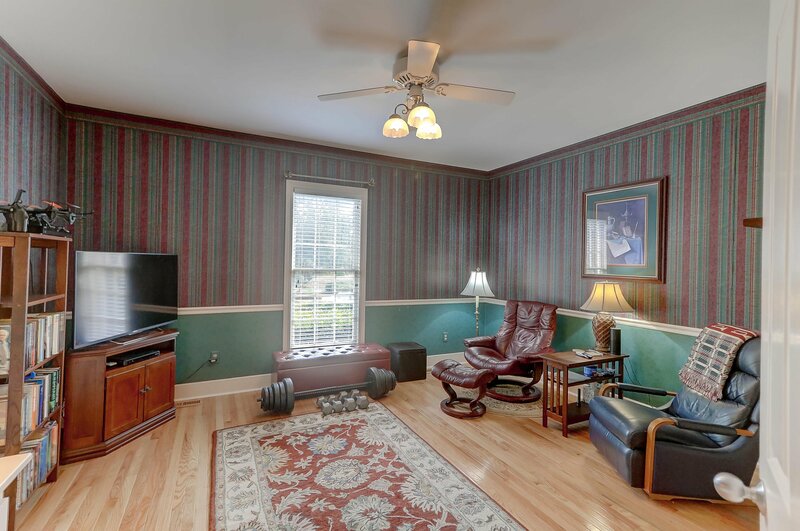 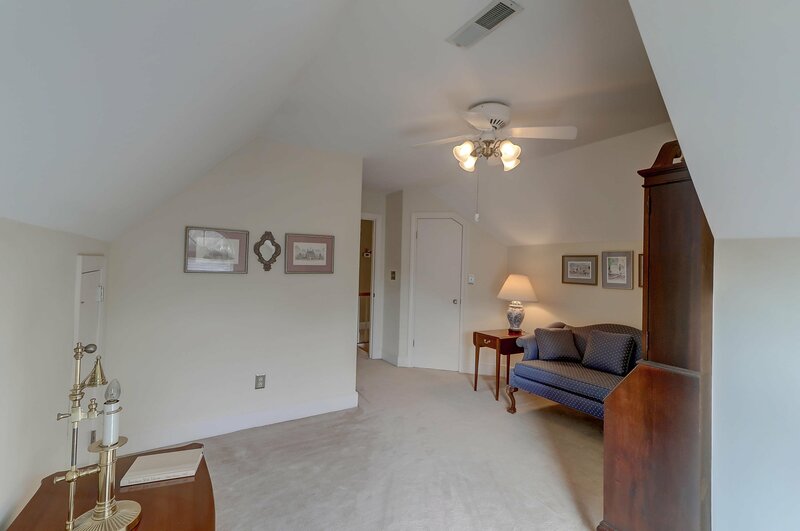 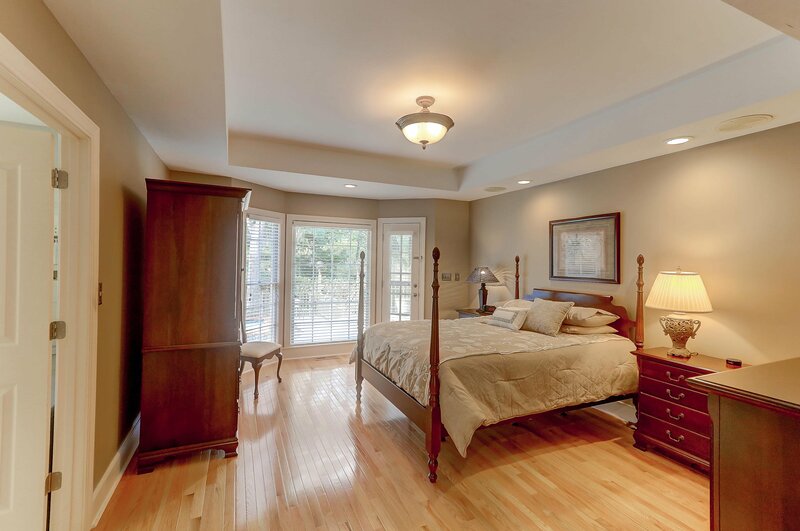 The downstairs hall leads to the spacious Master Suite with tray ceiling and lustrous hardwood flooring. 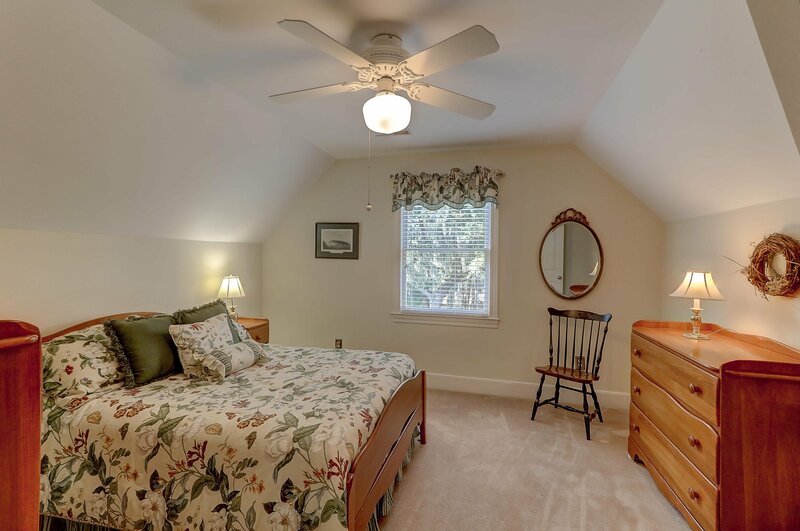 This lovely room offers a private place for peace and quiet. 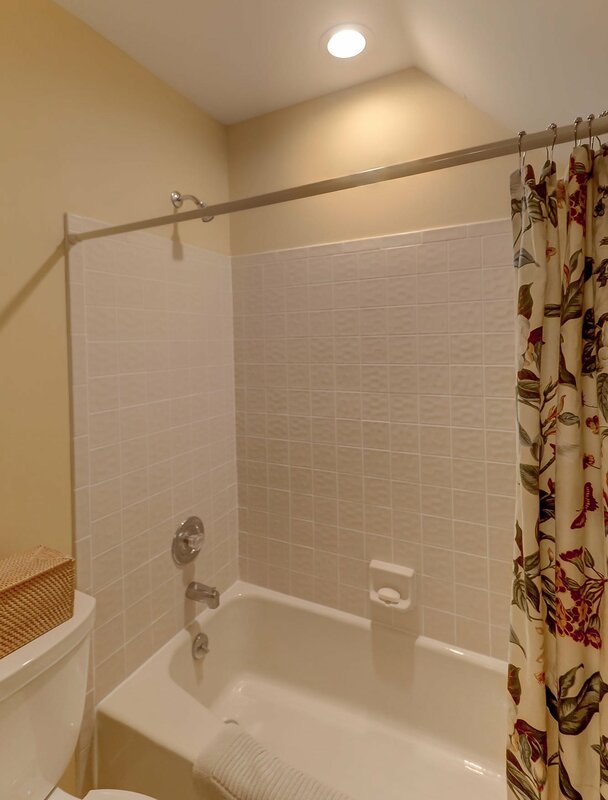 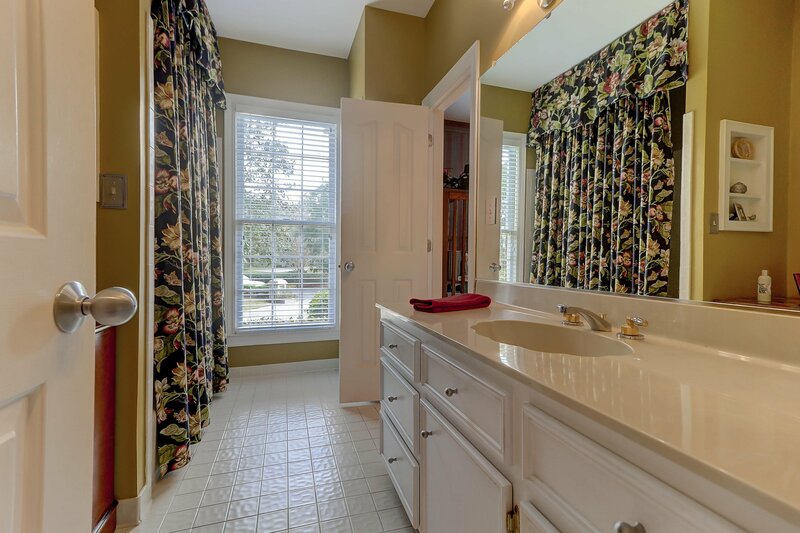 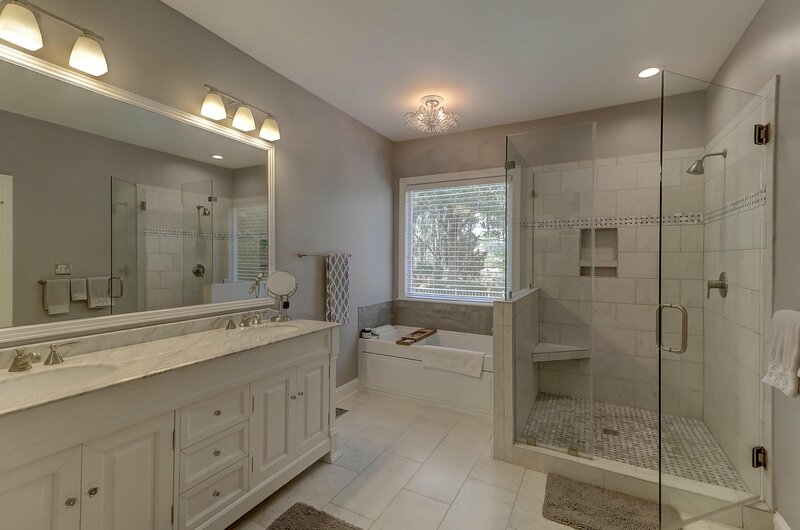 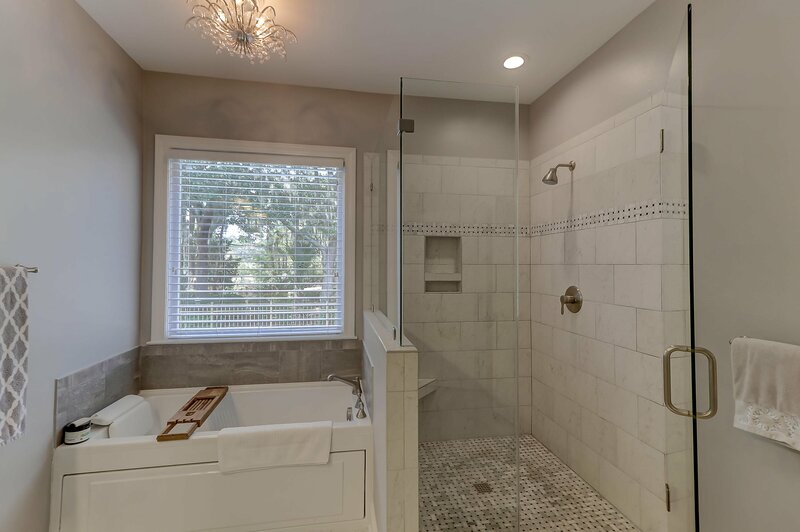 Pamper yourself in the well-appointed master bathroom which boasts an oversized shower, jetted tub, his and her separate sinks, and huge walk-in closet. 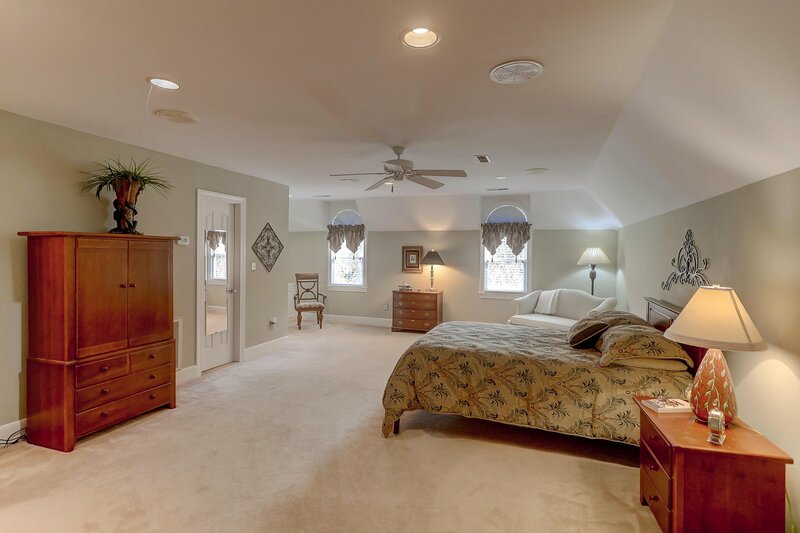 The Master bedroom features a lovely bay window and also has access to the tile patio and pool. 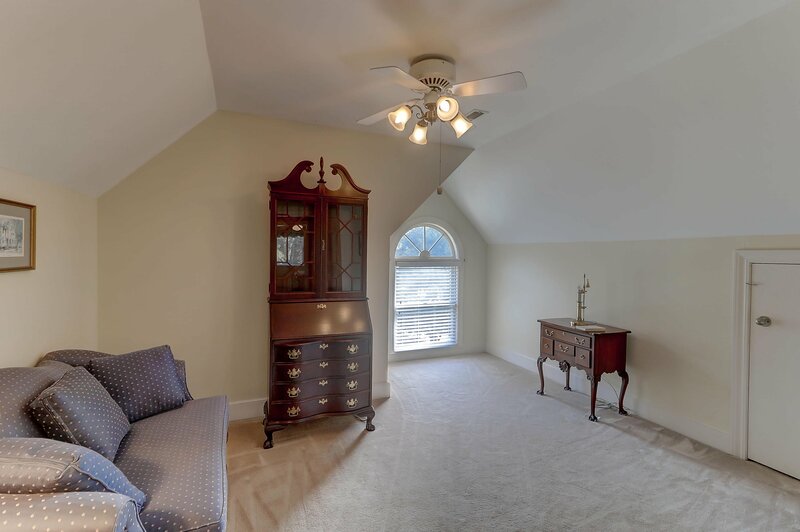 Across the hall from the Master suite is another bedroom with an adjoining full bathroom that can be used as a study, music room, or library. 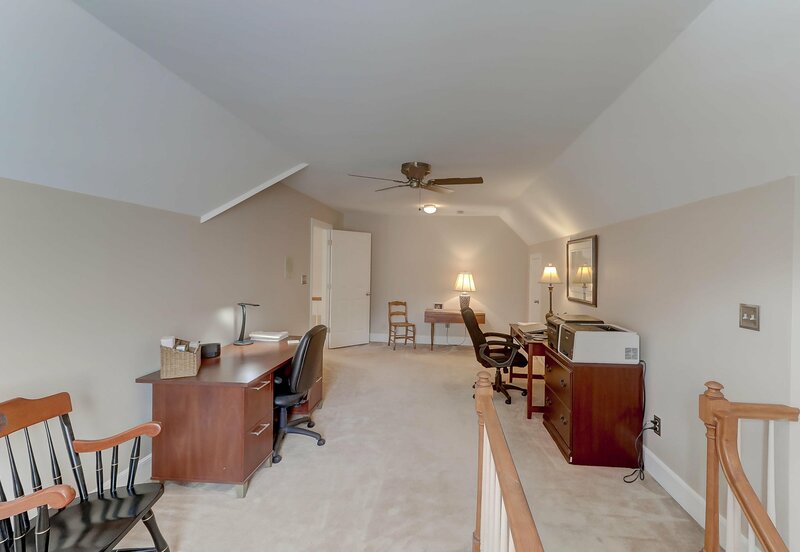 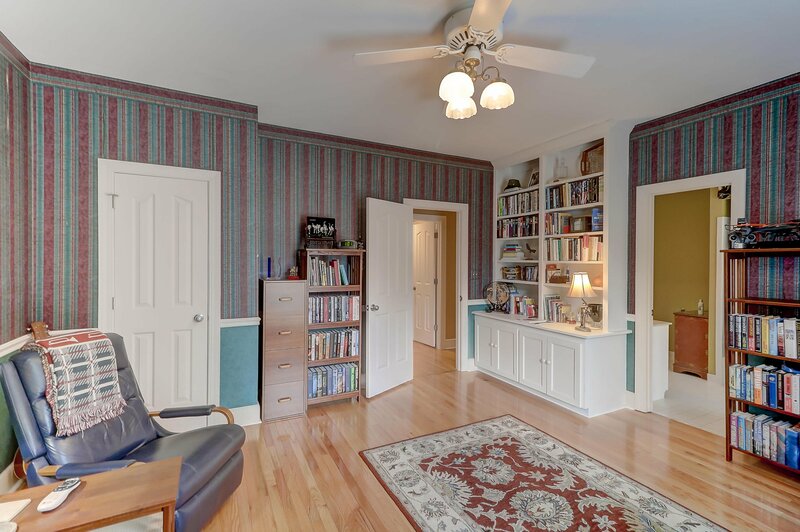 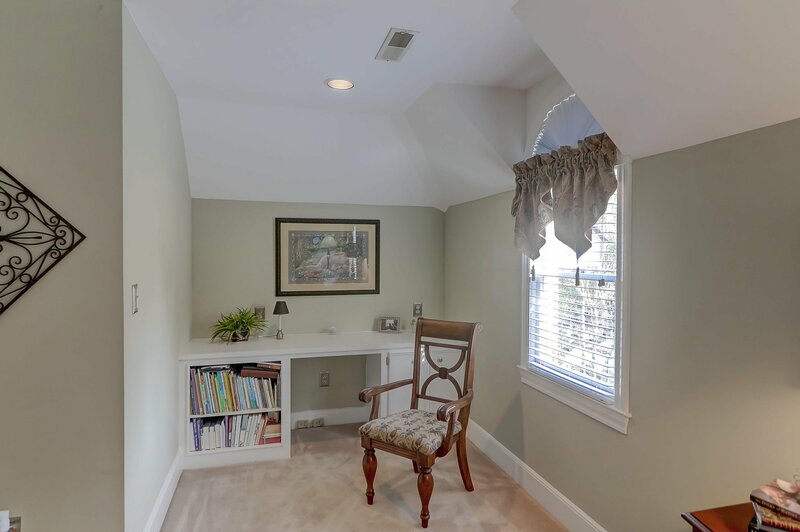 Prepare to be surprised when you go halfway up the back stairs to a spacious bonus room with built-in desk area and counter space which is ideal for an office or homework area. 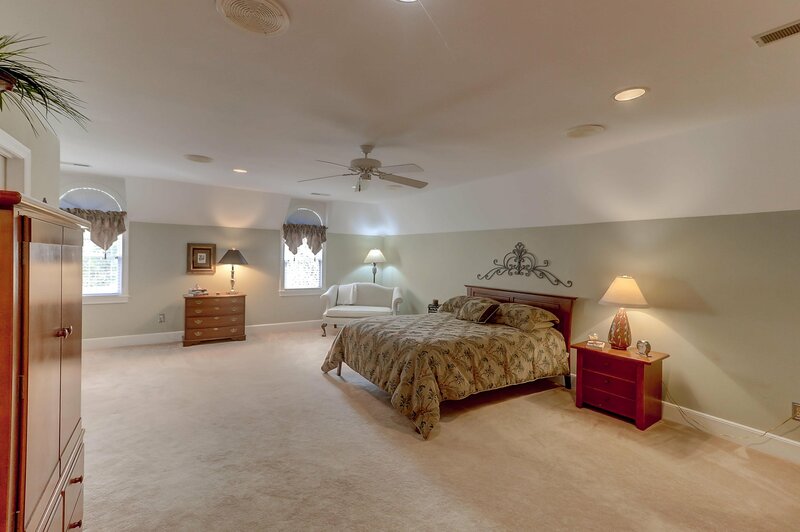 This huge room can also be a second master suite as there is a full bathroom and walk-in closet. 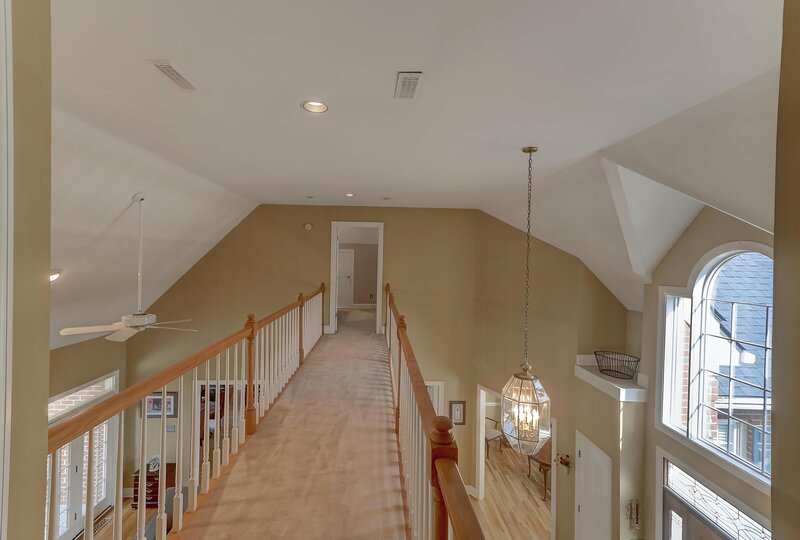 Continue further up the back stairs to a another large room with walk-in attic access that is used as an office, but is also ideal as a TV room or play room. 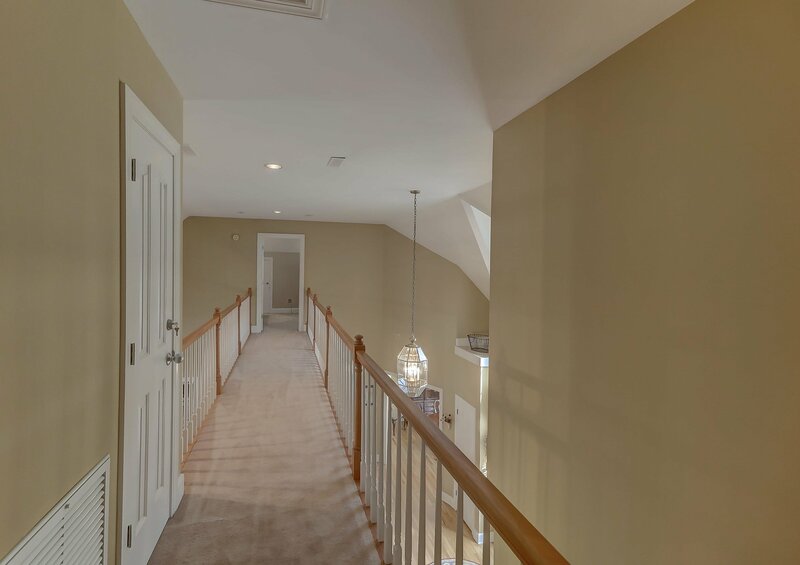 Continue your tour as you walk across the fly bridge to access two additional bedrooms - one with a walk-in closet with built-in dresser and more under-eaves storage - and an oversized full bathroom. 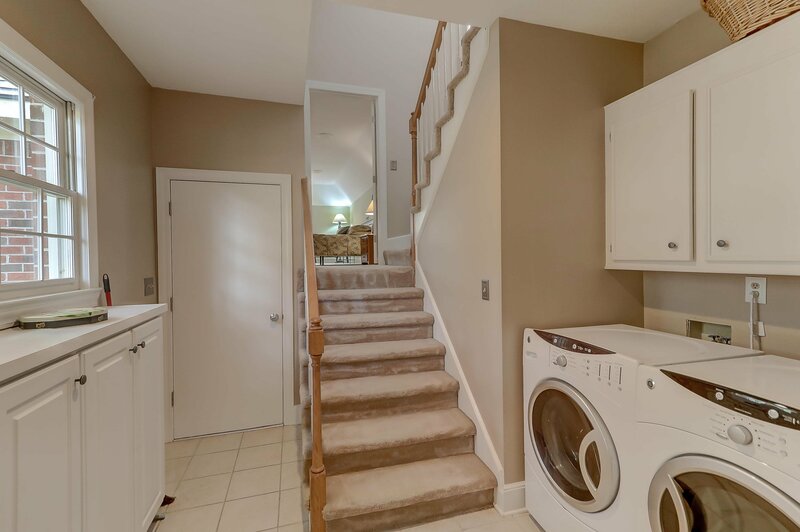 Storage and closet space abounds! 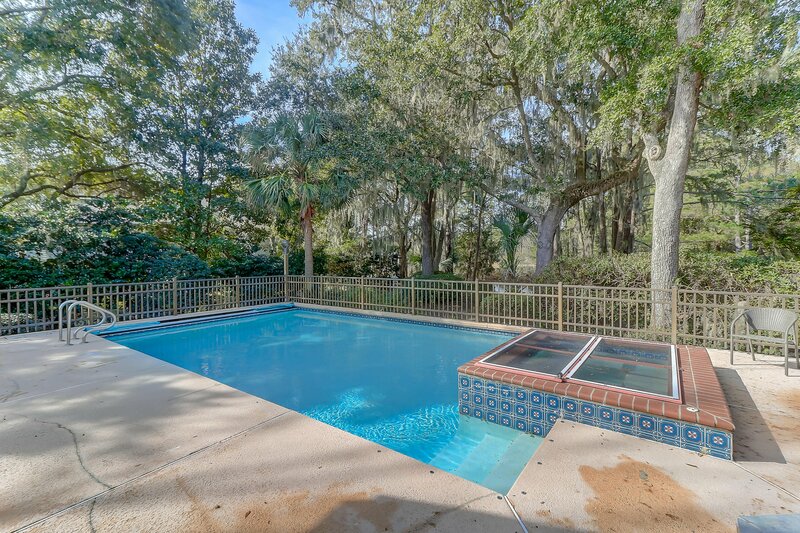 This elegant and versatile property offers a delightful opportunity to enjoy outdoor living as well the lovely pool and hot tub. 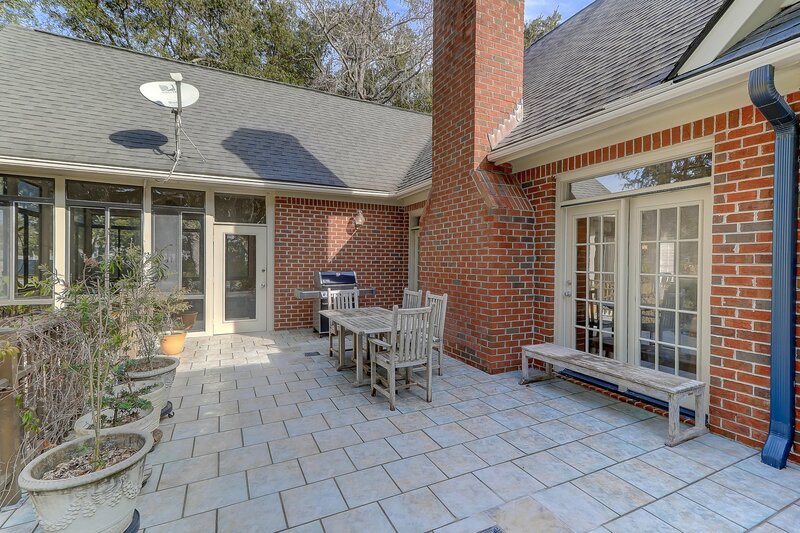 Grill on the patio or float in the pool as you enjoy the peace and tranquility and admire nature that surrounds you. 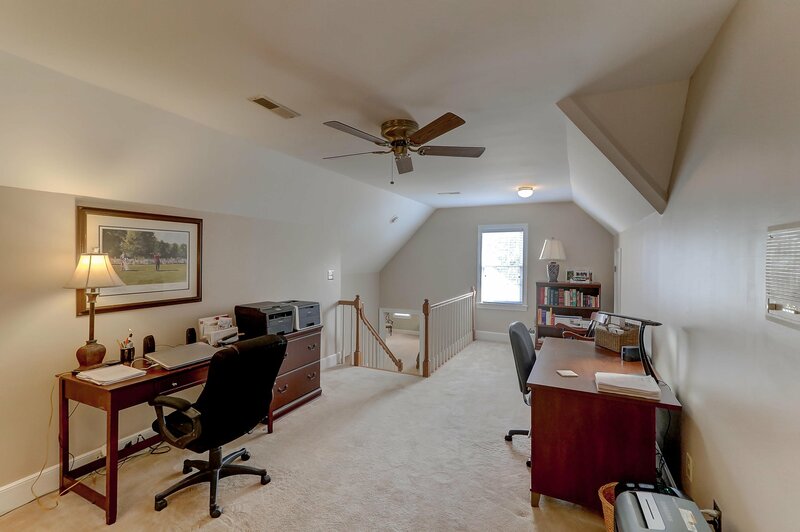 This home is definitely low maintenance with the full lawn irrigation system with well, central vacuum, outdoor Moonlighting, Leaf Guard gutters, closed cell foam insulation in the attic and under the porch, new heat exchanger in the bonus room, and, best of all, Geo-thermal heating and cooling for the upstairs and downstairs areas. 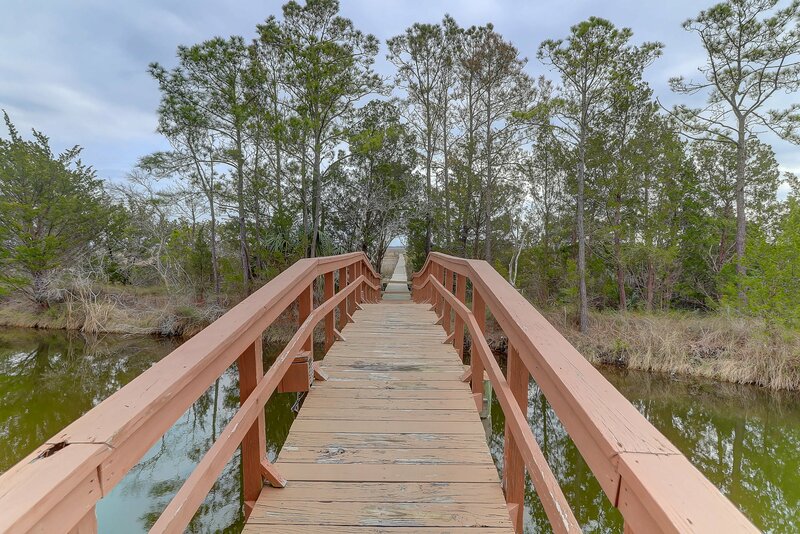 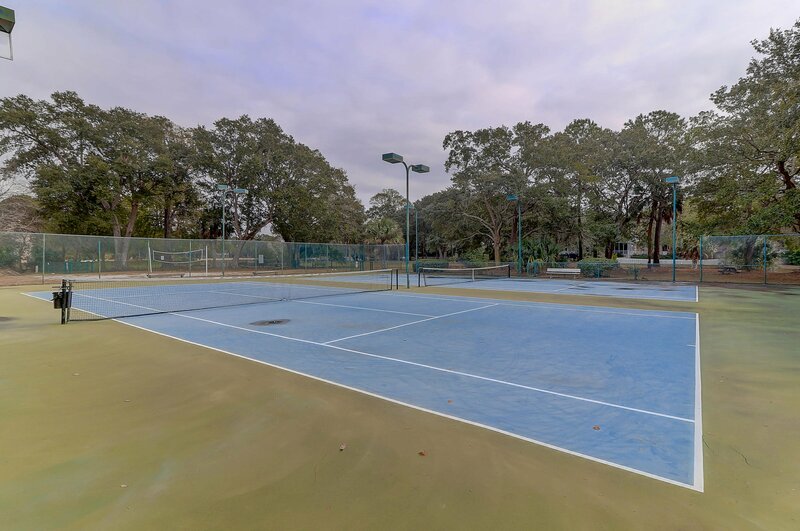 Amenities are also plentiful - a dock for crabbing and fishing, neighborhood pool, tennis courts, basketball court - and the only neighborhood landing strip in Mt. 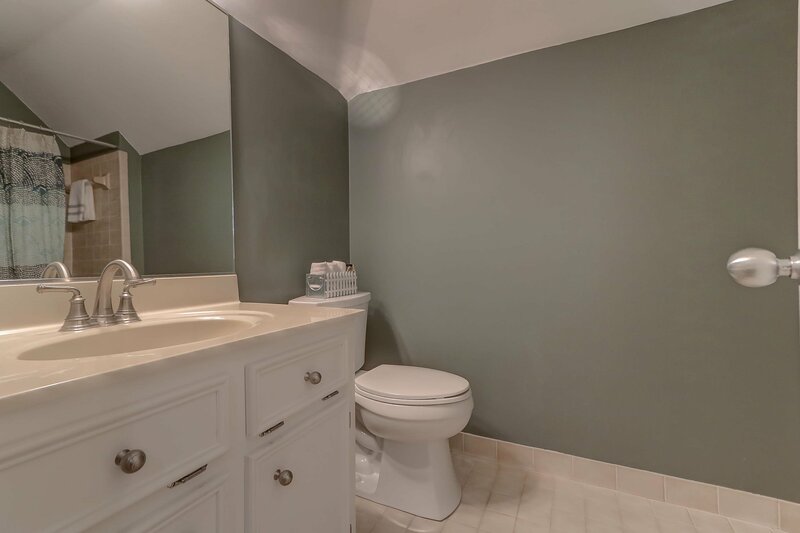 Pleasant! 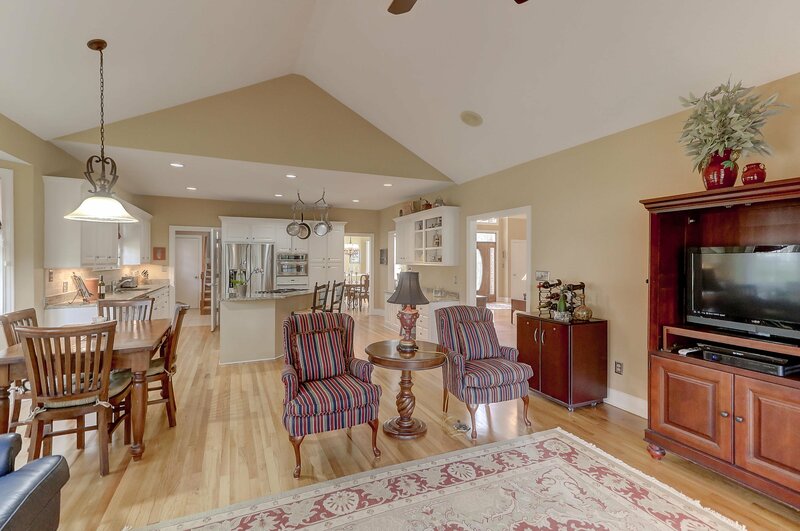 Located centrally in Mt. 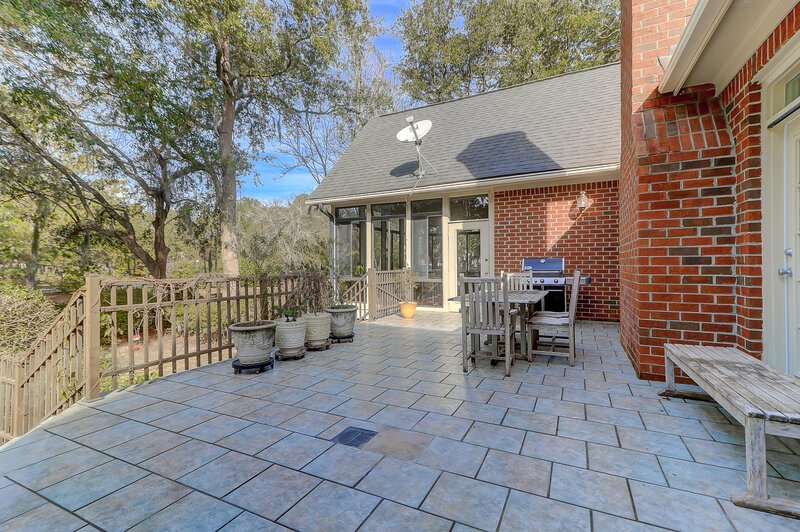 Pleasant, this property is convenient to downtown Charleston, the beach, shopping, restaurants, major highways, schools and hospitals. 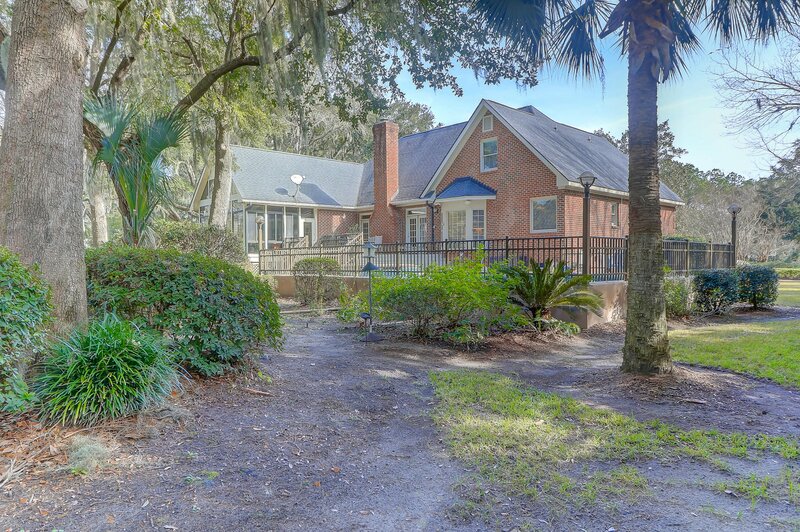 Enjoy living in this impeccably maintained home situated in a very unique neighborhood while you enjoy the best of the Low country.